Sold EUR 109,68 Buy It Now or Best Offer, EUR 24,80 Shipping, Pay with PayPal and you're fully protected. Popularity - 112 views, 0.6 views per day, 198 days on eBay. Very high amount of views. 1 sold, 0 available. 112 views, 0.6 views per day, 198 days on eBay. Very high amount of views. 1 sold, 0 available. 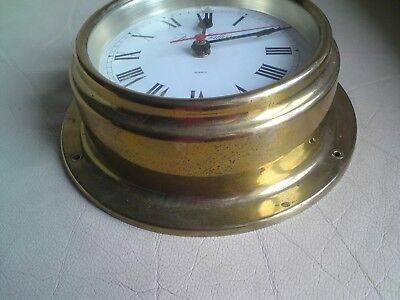 Foster Callear England, Marine Quartz Ships Clock,used,free-Mailing.